For years, astronomers have been observing Proxima Centauri, hoping to see if this red dwarf has a planet or system of planets around it. As the closest stellar neighbor to our Solar System, a planet here would also be our closest planetary neighbor, which would present unique opportunities for research and exploration. So there was much excitement when, earlier this month, an unnamed source claimed that the ESO had spotted an Earth-sized planet orbiting within the star’s habitable zone. And after weeks of speculation, with anticipation reaching its boiling point, the ESO has confirmed that they have found a rocky exoplanet around Proxima Centauri – known as Proxima b. Located just 4.25 light years from our Solar System, Proxima Centauri is a red dwarf star that is often considered to be part of a trinary star system – with Alpha Centauri A and B. For some time, astronomers at the ESO have been observing Proxima Centauri, primarily with telescopes at the La Silla Observatory in Chile. Their interest in this star was partly due to recent research that has shown how other red dwarf stars have planets orbiting them. These include, but are not limited to, TRAPPIST-1, which was shown to have three exoplanets with sizes similar to Earth last year; and Gliese 581, which was shown to have at least three exoplanets in 2007. The ESO also confirmed that the planet is potentially terrestrial in nature (i.e. rocky), similar in size and mass to Earth, and orbits its star with an orbital period of 11 days. But best of all are the indications that surface temperatures and conditions are likely suitable for the existence of liquid water. It’s discovery was thanks to the Pale Red Dot campaign, a name which reflects Carl Sagan’s famous reference to the Earth as a “pale blue dot”. As part of this campaign, a team of astronomers led by Guillem Anglada-Escudé – from Queen Mary University of London – have been observing Proxima Centauri for signs of wobble (i.e. the Radial Velocity Method). After combing the Pale Red Dot data with earlier observations made by the ESO and other observatories, they noted that Proxima Centauri was indeed moving. With a regular period of 11.2 days, the star would vary between approaching Earth at a speed of 5 km an hour (3.1 mph), and then receding from Earth at the same speed. This was certainly an exciting result, as it indicated a change in the star’s radial velocity that was consistent with the existence of a planet. Further analysis showed that the planet had a mass at least 1.3 times that of Earth, and that it orbited the star at a distance of about 7 million km (4.35 million mi) – only 5% of the Earth’s distance from the Sun. The discovery of the planet was made possible by the La Silla’s regular observation of the star, which took place star between mid-January and April of 2016, using the 3.6-meter telescope‘s HARPS spectrograph. Other telescopes around the world conducted simultaneous observation in order to confirm the results. One such observatory was the San Pedro de Atacama Celestial Explorations Observatory in Chile, which relied on its ASH2 telescope to monitor the changing brightness of the star during the campaign. This was essential, as red dwarfs like Proxima Centauri are active stars, and can vary in ways that would mimic the presence of the planet. Two separate papers discuss the habitability of Proxima b and its climate, both of which will be appearing soon on the Institute of Space Sciences (ICE) website. These papers describe the research team’s findings and outline their conclusions on how the existence of liquid water cannot be ruled out, and discuss where it is likely to be distributed. Though there has been plenty of excitement thanks to words like “Earth-like”, “habitable zone”, and “liquid water” being thrown around, some clarifications need to be made. For instance, Proxima b’s rotation, the strong radiation it receives from its star, and its formation history mean that its climate is sure to be very different from Earth’s. For instance, as is indicated in the two papers, Proxima b is not likely to have seasons, and water may only be present in the sunniest regions of the planet. Where those sunny regions are located depends entirely on the planet’s rotation. If, for example, it has a synchronous rotation with its star, water will only be present on the sun-facing side. If it has a 3:2 resoncance rotation, then water is likely to exist only in the planet’s tropical belt. In any case, the discovery of this planet will open the door to further observations, using both existing instruments and the next-generation of space telescopes. And as Anglada-Escudé states, Proxima Centauri is also likely to become the focal point in the search for extra-terrestrial life in the coming years. As we noted in a previous article on the subject, Project Starshot is currently developing a nanocraft that will use a laser-driven sail to make the journey to Alpha Centauri in 20 years time. But a mission to Proxima Centuari would take even less time (19.45 years at the same speed), and could study this newly-found exoplanet up-close. One can only hope they are planning on altering their destination to take advantage of this discovery. And one can only imagine what they might find if and when they get to Proxima b! A paper describing this milestone finding will be published in the journal Nature on August 25th, 2016, titled “A terrestrial planet candidate in a temperate orbit around Proxima Centauri“. 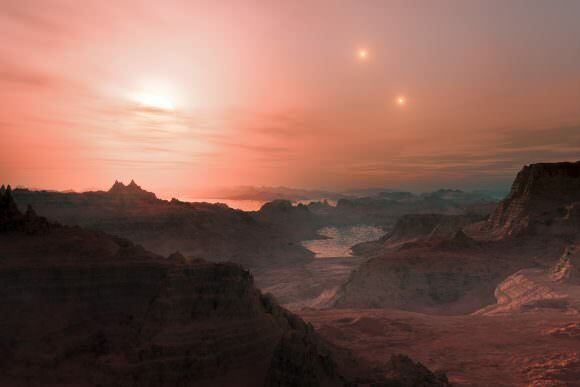 For over a century, astronomers have known about Proxima Centauri and believed that it is likely to be part of a trinary star system (along with Alpha Centauri A and B). Located just 0.237 ± 0.011 light years from the binary pair, this low-mass red dwarf star is also 0.12 light years (~7590 AUs) closer to Earth, making it the closest star system to our own. In the past, the Kepler mission has revealed several Earth-like exoplanets that were deemed to be likely habitable. And recently, an international team of researchers narrowed the number of potentially-habitable exoplanets in the Kepler catalog down to the 20 that are most likely to support life. However, in just about all cases, these planets are hundreds (if not thousands) of light years away from Earth. 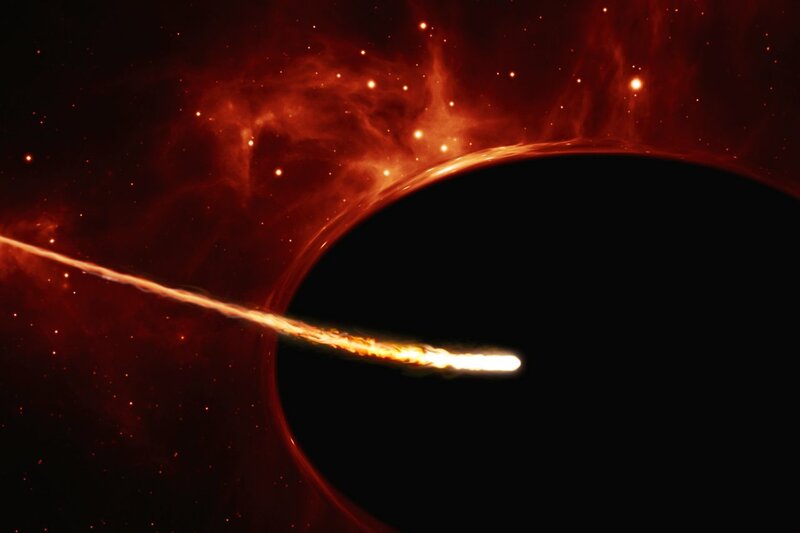 In addition, they claim that the discovery was made by the European Southern Observatory (ESO) using the La Silla Observatory‘s reflecting telescope. Coincidentally, it was this same observatory that announced the discovery of Alpha Centauri Bb back in 2012, which was also declared to be “the closest exoplanet to Earth”. Unfortunately, subsequent analysis cast doubt on its existence, claiming it was a spurious artifact of the data analysis. The article goes on to state that the European Southern Observatory (ESO) will be announcing the finding at the end of August. But according to numerous sources, in response to a request for comment by AFP, ESO spokesman Richard Hook refused to confirm or deny the discovery of an exoplanet around Proxima Centauri. “We are not making any comment,” he is reported as saying. What’s more, the folks at Project Starshot are certainly excited by the news. As part of Breakthrough Initiatives – a program founded by Russian billionaire Yuri Milner to search for intelligent life (with backing from Stephen Hawking and Mark Zuckerberg) – Starshot intends to send a laser-sail driven-nanocraft to Alpha Centauri in the coming years. This craft, they claim, will be able to reach speeds of up to 20% the speed of light. At this speed, it will able to traverse the 4.37 light years that lie between Earth and Alpha Centauri in just 20 years. But with the possible discovery of an Earth-like planet orbiting Proxima Centauri, which lies even closer, they may want to rethink that objective. Naturally, there is the desire (especially amongst exoplanet enthusiasts) to interpret the ESO’s refusal to comment either way as a sort of tacit confirmation. And knowing that industry professionals are excited it about it does lend an air of legitimacy. But of course, assuming anything at this point would be premature. If the statements made by the unnamed source, and quoted by Der Speigel, are to be taken at face value, then confirmation (or denial) will be coming shortly. In the meantime, we’ll all just need to be patient. Still, you have to admit, it’s an exciting prospect: an Earth-like planet that’s actually within reach! And with a mission that could make it there within our own lifetimes. This is the stuff good science fiction is made of, you know.